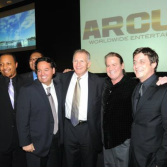 BMC has had a long and successful relationship with the movie, home entertainment and television industry. We have created film funds, advised producers and investors in movies, and executive produced television shows. We are advisers to home media companies looking to buy or sell their entire companies – or simply divest titles. As appraisers, we have valued many music, video, or game libraries for our clients. We do so affordably, quickly and accurately. Note that we have also advised owners of post-production, production, graphic, animation, sound and special effects on transactional issues. Past clients include Woodholly Studio, Soundelux, Liberty Media, Timeless Media, Porchlight Entertainment, Goldhil Entertainment, Smooth Films, Alan Ett Creative Group and many others. Our firm has services every aspect of the publishing industry – from book and magazine publishing to solutions providers, e-readers and content management – in trade, gift, professional & educational markets. Mr. Kerr has been a featured lecturer at BookExpo America, London Book Fair and the National School (NSSEA) conferences. His articles on business valuation and mergers & acquisitions for publishers have been circulated throughout the industry. A strong area of our consulting work has been with e-learning, on-demand printing/publishing, content management and e-books. Past clients include Walter de Gruyter GmbH, Conari Press, JayJo Books, UR Research, Antioch Publishing, Mind’s Eye Audio, Research Assistance, MediaBay, Hampton Roads, Libros Sin Fronteras, Covenant Books and the American Diabetes Association. As the internet grew to become the force that it is today, Business Marketing Consultants grew with it. From the mid-1990’s until the present, BMC has been advising, financing, and selling Internet driven businesses. Our firm helped create, finance, and/or sell more than a half dozen internet companies including PrintQuote.com, Bongarde.com, Babysigns.com and ToolsforExploration.com. Our firm has been called in to value and sell retail chains and establishments affiliated with the industries we serve; such as video and bookstores, gift stores, on-line retailers and specialty retailers. Over the years we have sold or advised on the sale of Seagull Books, The Collected Works, Pacific Video and BeyondTheWall.com.